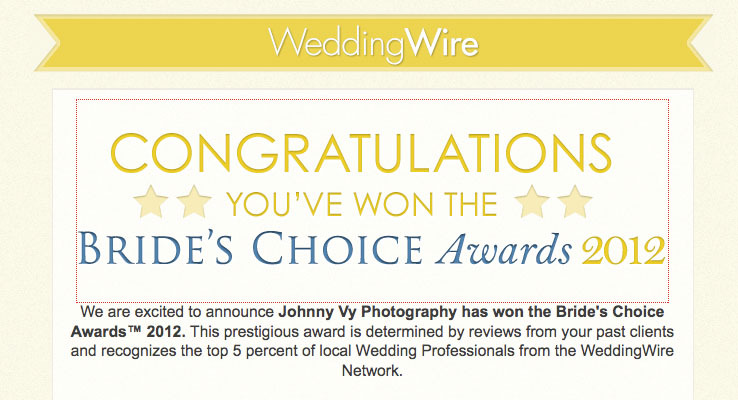 We're excited to start 2012 off right with our first Bride's Choice Award! Thanks to all the couples and clients who made our first year in business a memorable one. This year we're looking forward to pushing the boundaries of creative wedding imagery, and forging new relationships with new clients. Let's get it started!